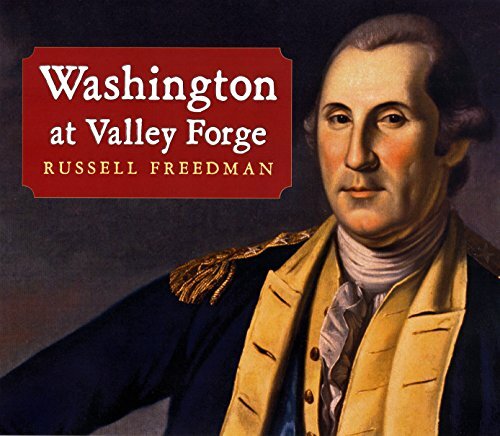 Newbery Award-winning author Russell Freedman offers up this powerful account of the survival of American soldiers while camped at Valley Forge during a crucial period in the American Revolution. George Washington's army almost perished during the winter of 1777-78. Camped at Valley Forge, about twenty miles from Philadelphia, the revolutionaries endured severe hardship because the army's supply system had collapsed and they were without food, clothing, and blankets. The army was at its most vulnerable; but when the harsh winter drew to a close, the soldiers had survived, and marched away from Valley Forge more determined than ever. The British were defeated in 1783, and Washington, for the rest of his life, said that the credit for the Amrican victory belonged to the soldiers who had braved the horrific conditions at Valley Forge.